even mother earth will send you a thank you card. 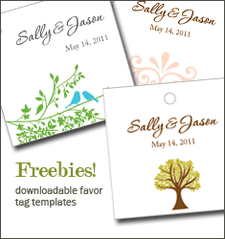 Welcome to our lil' home of eco-friendly wedding and event invitations. We try to keep prices fair, the help ridiculously friendly, and the process easy peasy. We've got a lot of love for nature and our commitment to the environment goes past just using recycled paper. So take a peek around! We're constantly adding to our collection of environmentally friendly wedding invitations, eco-happy baby shower invitations, and party invitations perfect for the eco-conscious birthday girl or boy. Cater from a local farm! Plant Trees or Flower Seeds in lieu of favors! Ask your venue to support recycling! New Invitations Comming Very Soon!